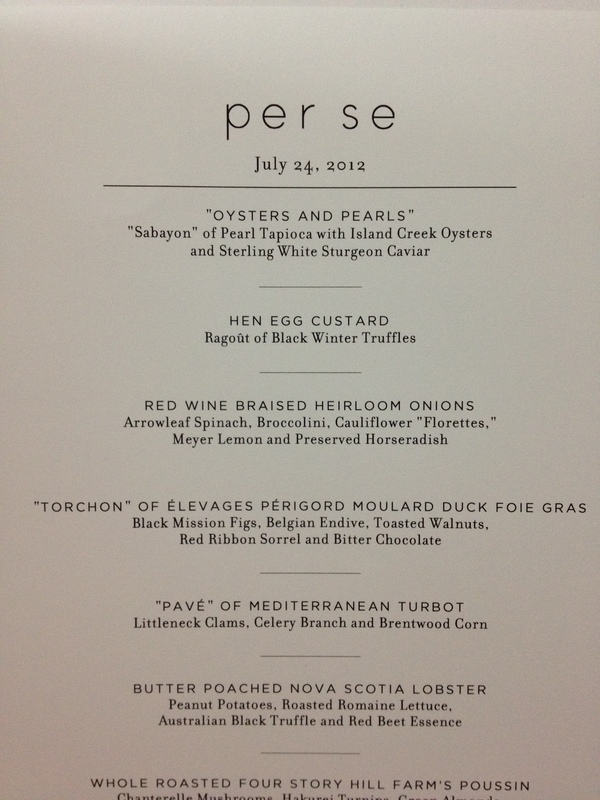 Tad: Another day, another meal at Per Se. I have to admit that I am somewhat disappointed that we Victortook so many photos. I mean, taking a few for this blog is fine, since it is all part of our mission to evangelize good food. But it makes us seem like we’re tourists. My parents raised me better. -I borrowed my friend’s Fuji X100 (a real camera! ), and these pictures are considerably better than my iPhone pictures haha. Also, one of the lights above us was much brighter than it should have been; I liked that a LOT it gave us much more lighting for our photography. The server eventually dimmed the light, though… but not before we were pretty much done with the meal and had taken all our pictures! Victor: We started the meal off with some champagne, compliments of the staff. Tad: I wonder if they actually give the champagne to everyone, or just because they recognize me. 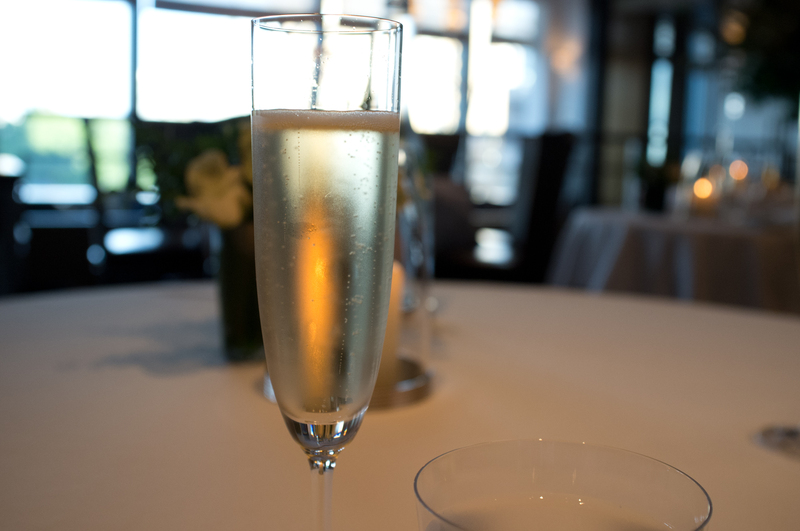 The champagne is decent, but it feels less special if EVERYONE gets some. 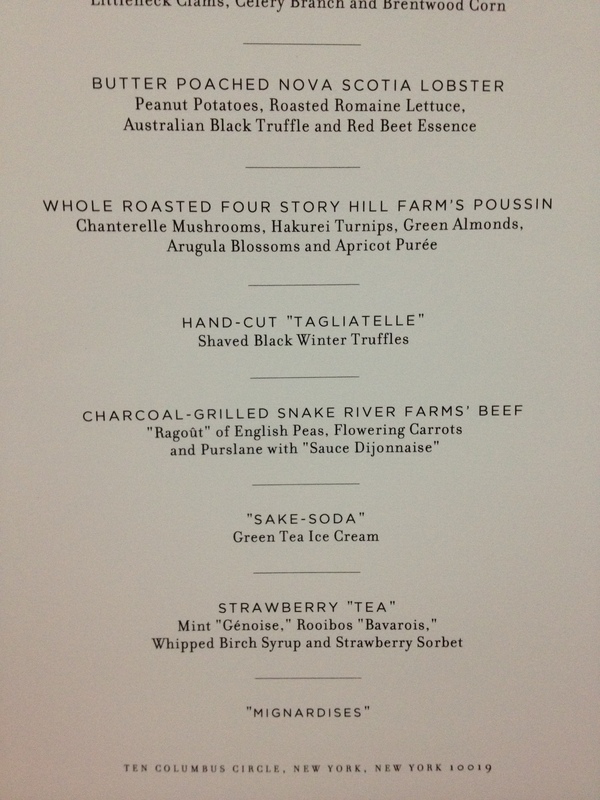 Tad: Oh, Thomas, you and your signature dishes! 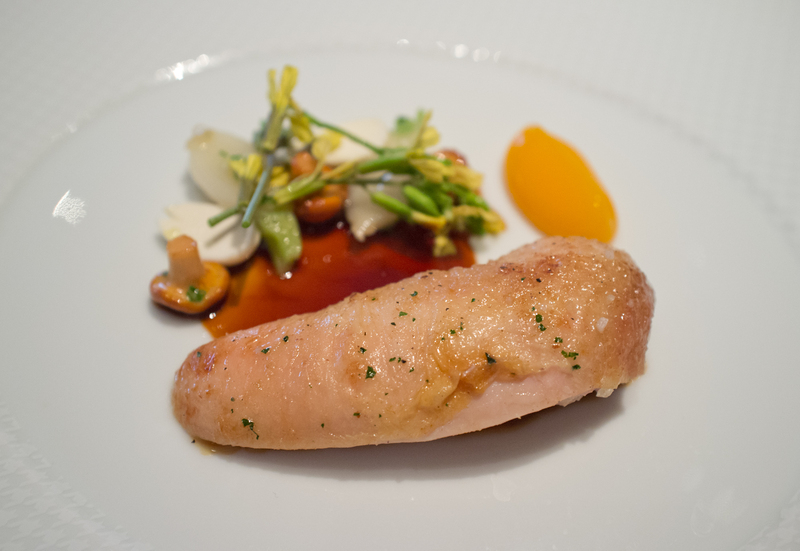 Per Se actually tried to replace this with a Cauliflower Panna Cotta once (another well publicized dish), but people asked for it so much that they decided to bring it back. 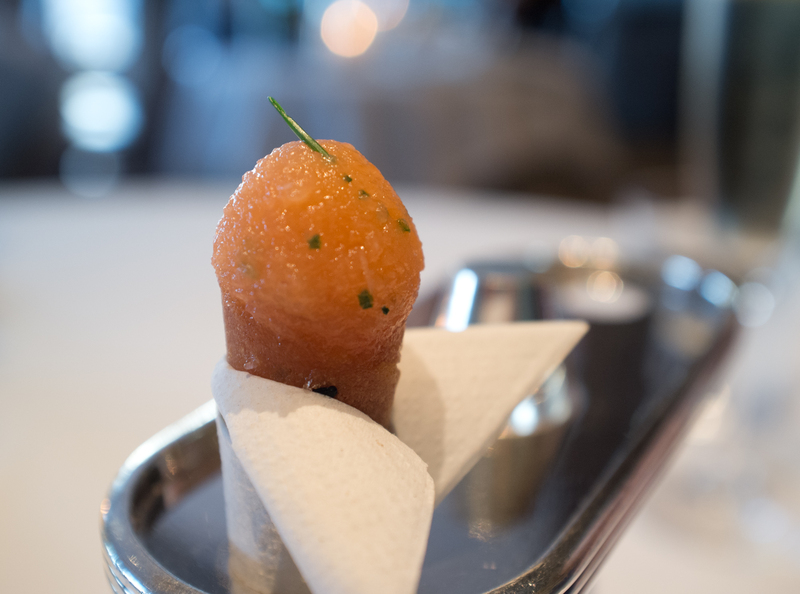 This is now the one item on the menu that they serve pretty much every time (though they didn’t serve this for our 30-course…). Tad: As classic as the Rolls-Royce Silver Wraith. 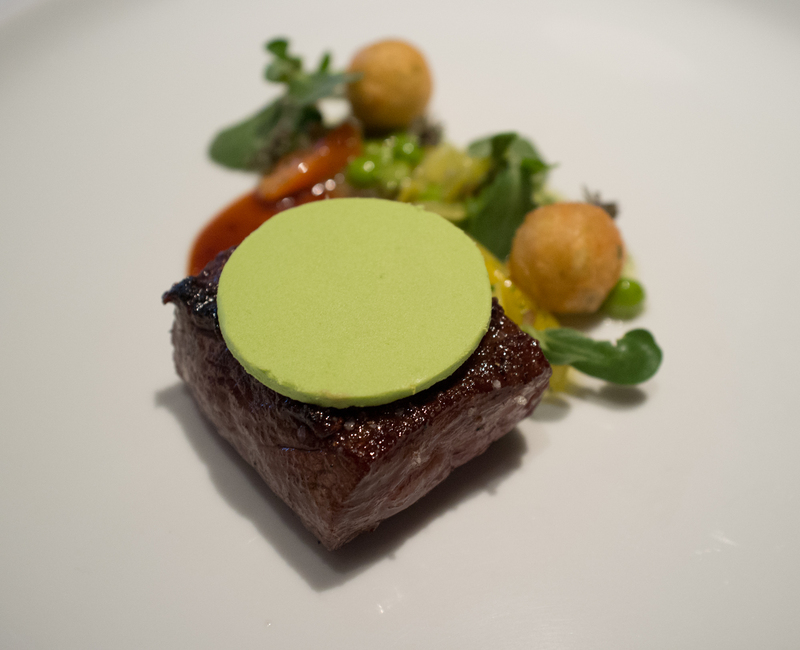 You’ll see it a lot in our Per Se albums, and it is quite spectacular. And you get what you pay for, as it’s also incredibly hard to prepare. Apparently, it takes an intern a few weeks (perhaps even months) to get it right! 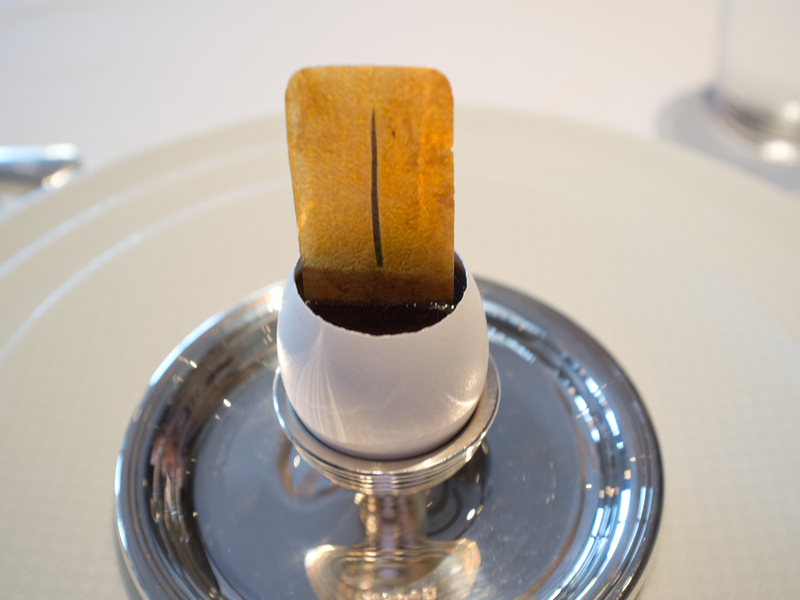 There’s a special device to cut the eggs that you can see in my 30-course Per Se meal album. 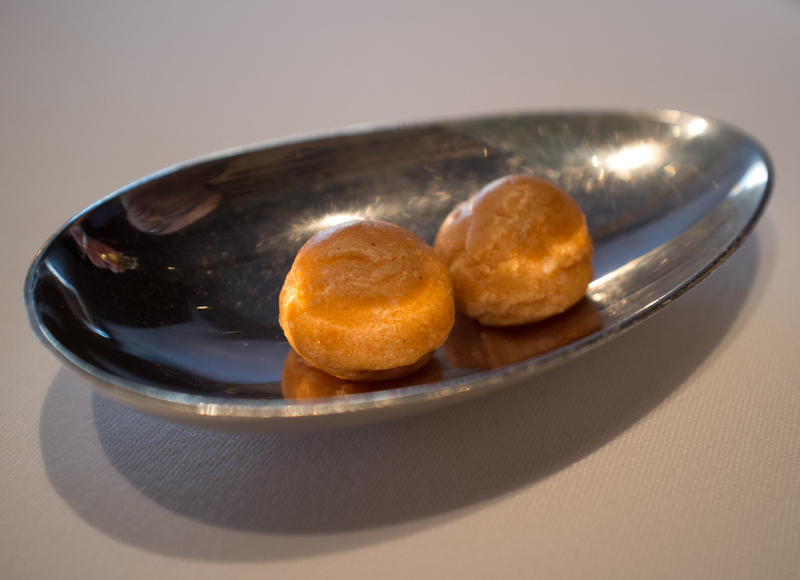 Right: fresh Parker House roll! 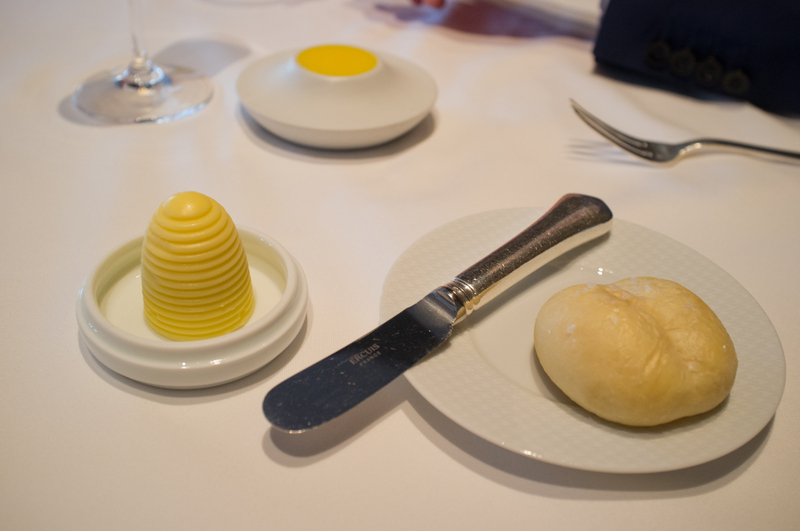 Left: Salted butter from Strauss Family Creamery in Petaluma, California. Top: Unsalted butter from Animal Farm in Orwell, Vermont. 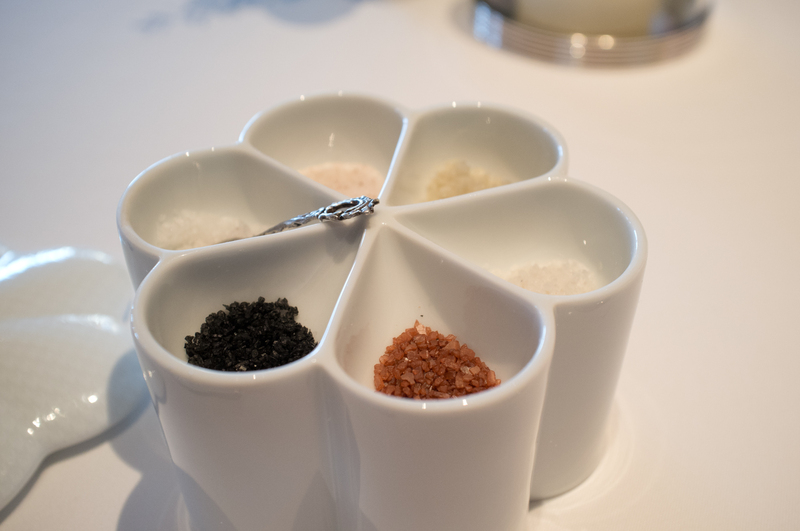 Tad: Six types of salt for the foie gras. I never remember these salts. They usually involve some volcanic salts, two salts from the UK (Essex and another some-such), and pink Himalayan salt. For some reason, the dining scene is OBSESSED with these salts. 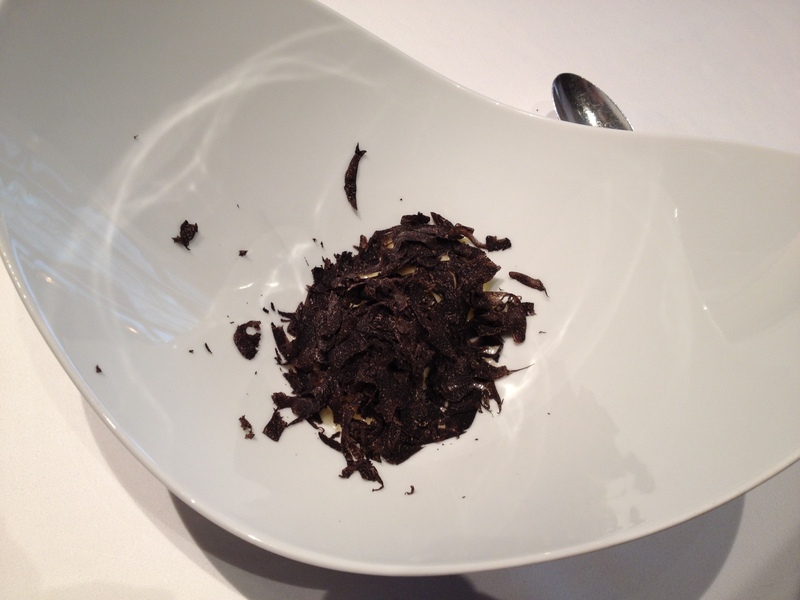 A chef friend told me that the tastes are distinguishable, and I tend to agree. Arrowleaf Spinach, Broccolini, Cauliflower “Florettes,” Meyer Lemon and Preserved Horseradish. 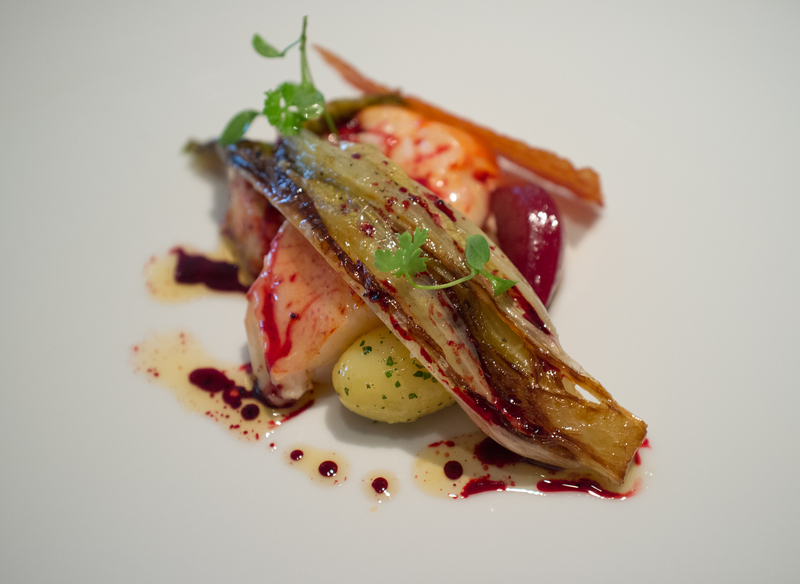 Victor: This dish was AMAZING. 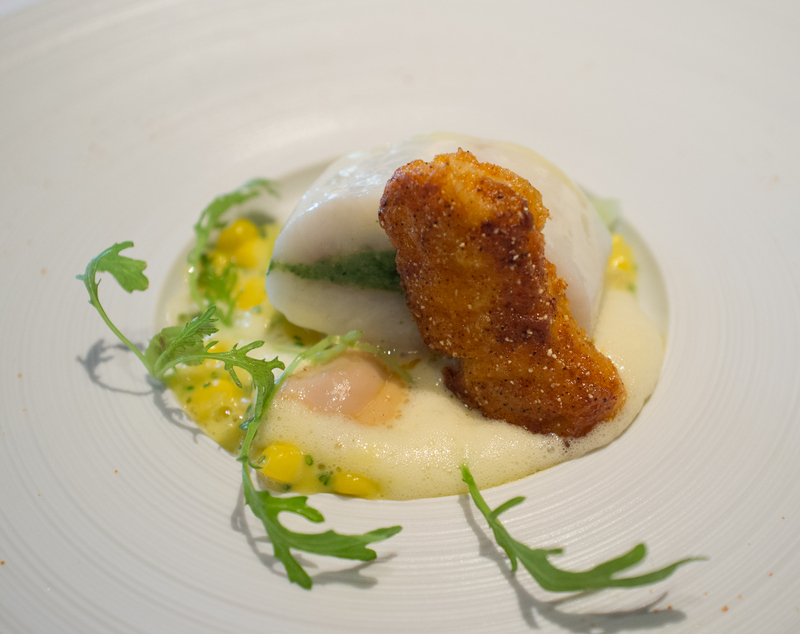 Vegetarian dishes seem to be the ones that really impress me… I feel like tend to involve more creativity haha. 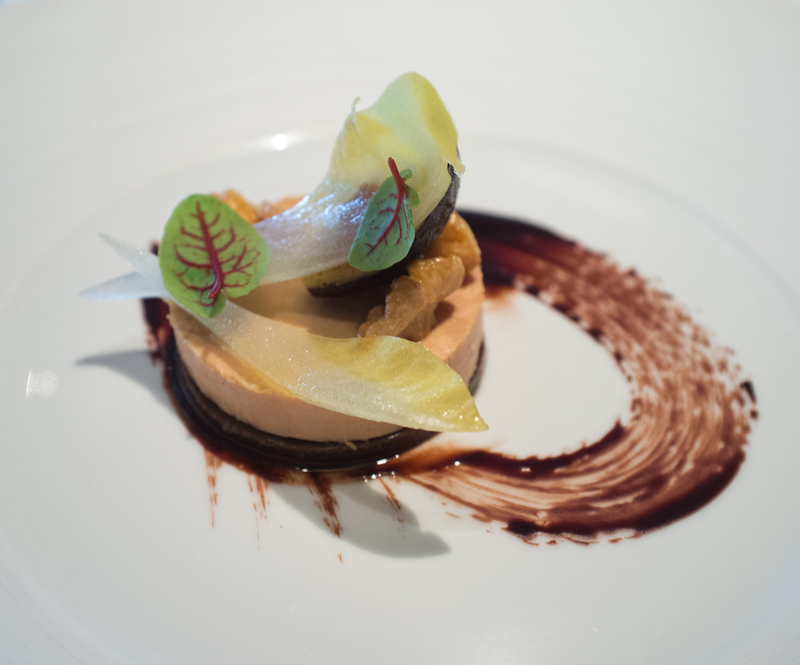 Anyway, this course is my all-time favorite vegetable course as of September 2012, and so far the only dish that’s really been close has been the Ratatouille Tatin at Dovetail. 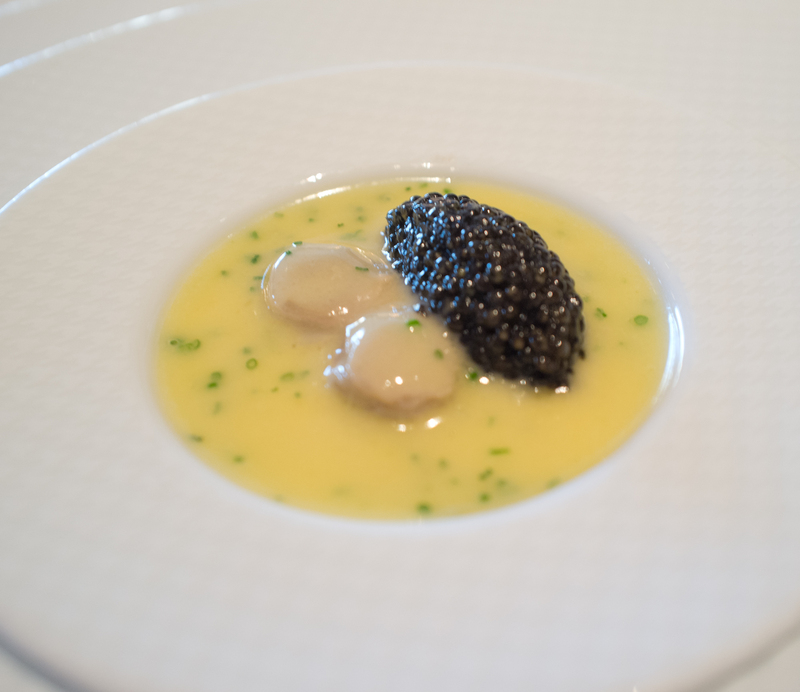 Tad: Yes, after a while, I guess you get sick of the same foie + lobster + caviar combinations. 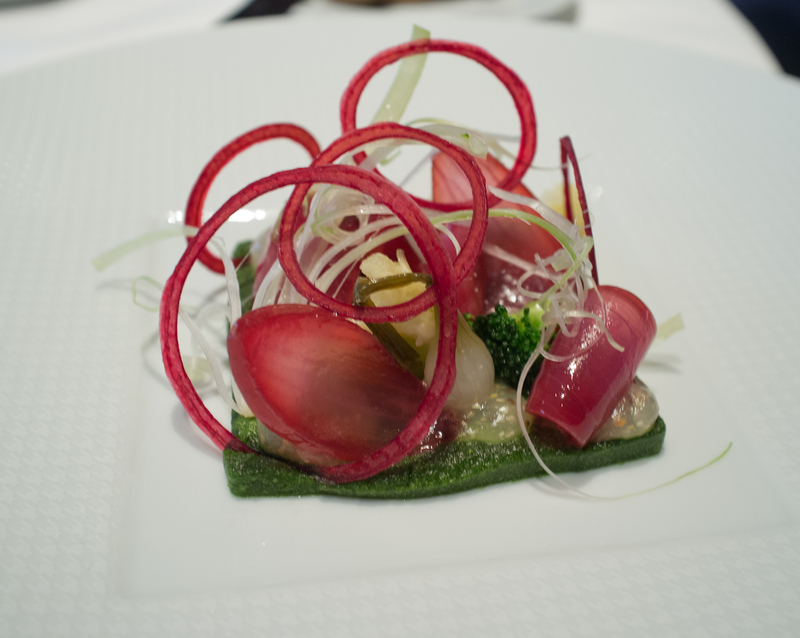 However, I could not as a well-bred man miss out on foie gras for… vegetables (hence why I chose the foie gras). 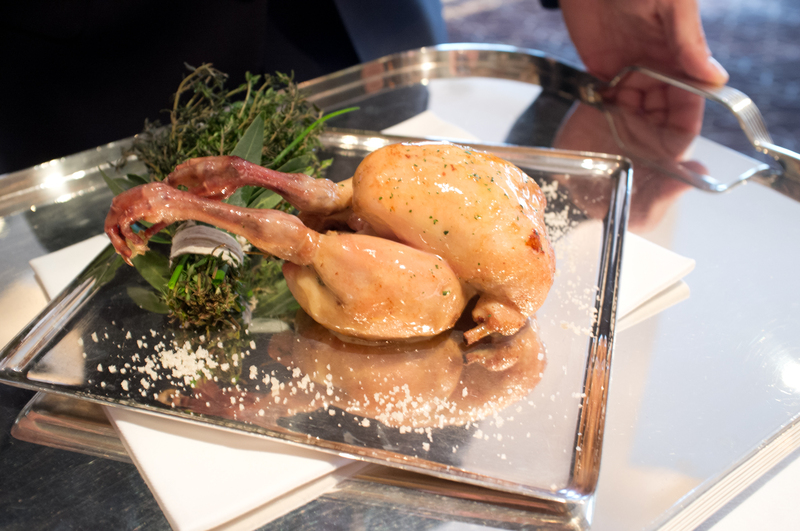 This is the poussin they used! Victor: The guy who shaved the truffle for us made a point of covering up the plate so that we wouldn’t be able to see any pasta. It was kind of ridiculous… but I loved it haha. 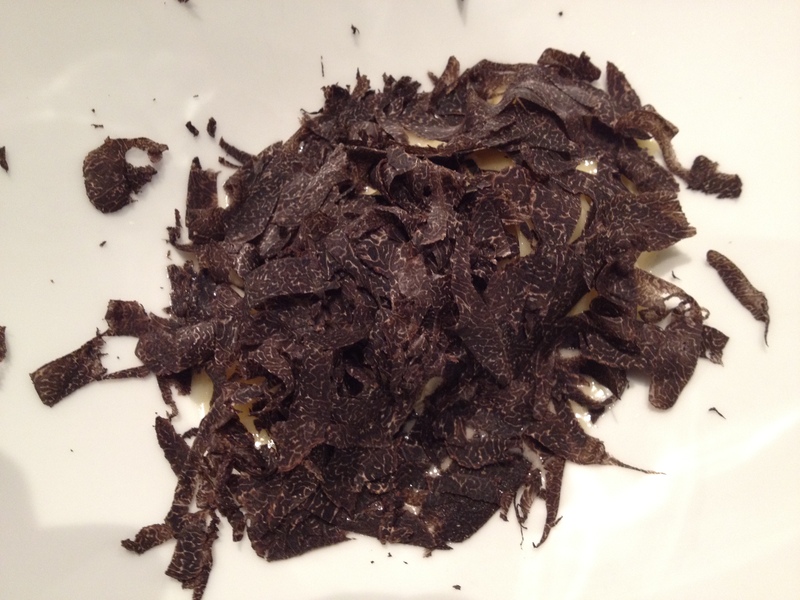 THE TRUFFLES WERE EVERYWHERE! Tad: They roll out the red carpet when I am here. 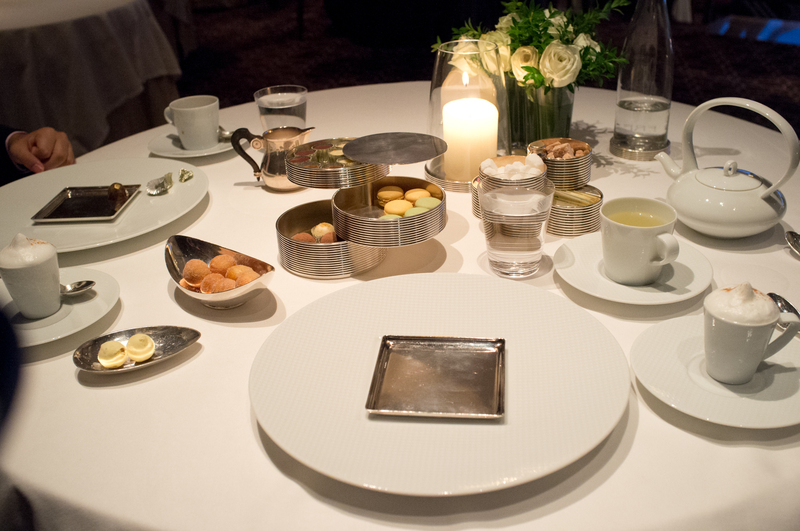 But, please, did you expect PER SE to skimp? 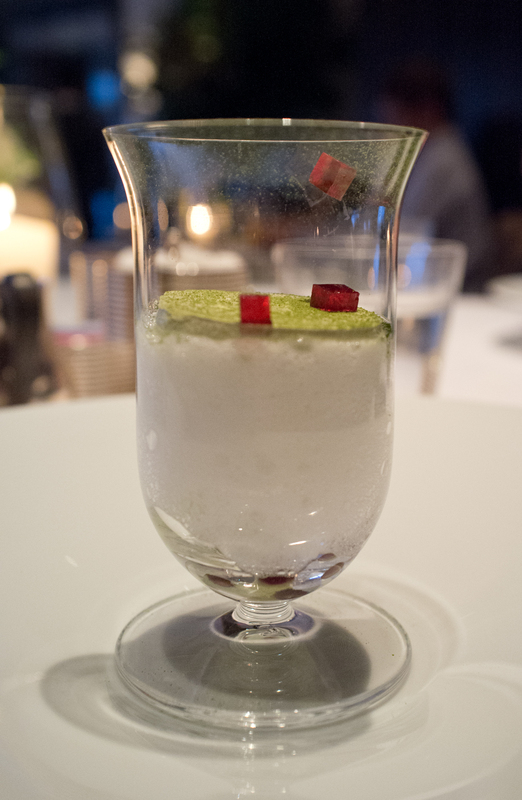 Victor: They usually have a light and refreshing dessert in a glass like this one to serve as a palate cleanser. 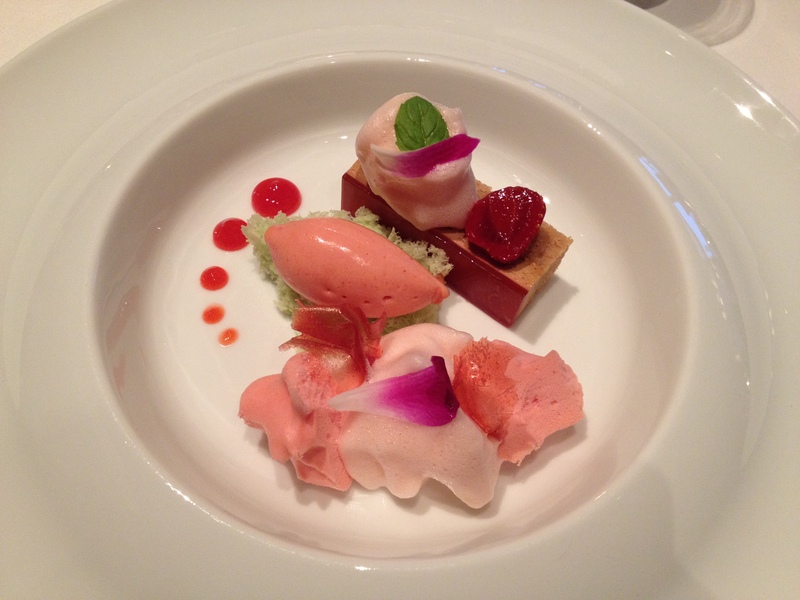 Victor: This was one of my favorite desserts of all time! -Some chocolate pieces and popcorn bonbons. 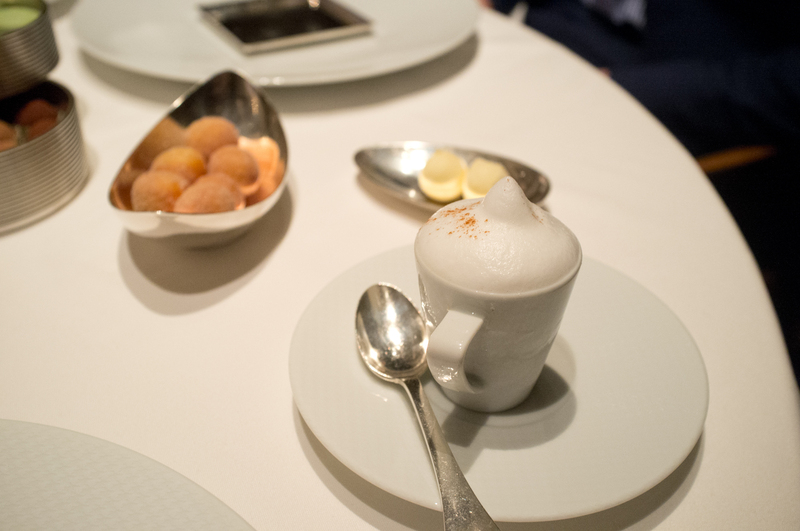 -Per Se’s take on coffee and donuts, with the donuts and semifreddo cappuccino. 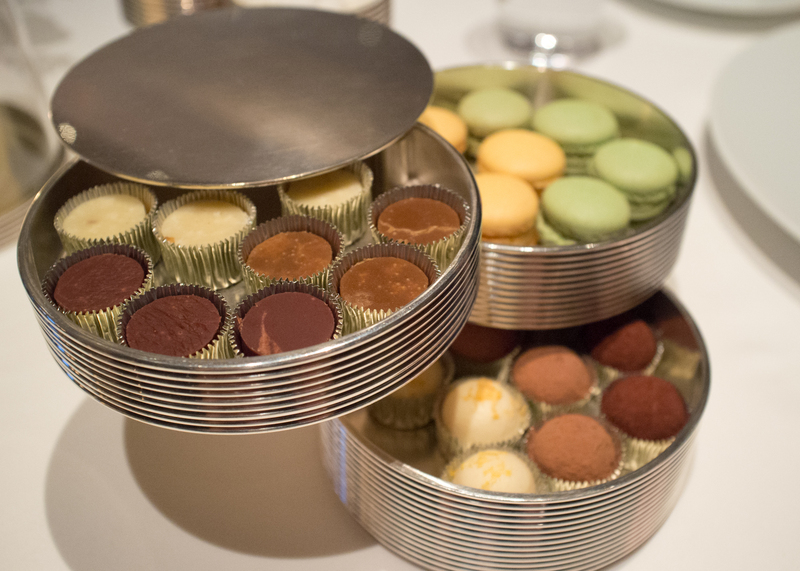 The three-tiered silver tray is called a “Tour d’Argent” (“tower of silver”), and it contains fudge, macarons, and truffles (from top to bottom). -The macarons were mint chocolate and passion fruit. -I forgot what flavors the truffles and fudge were :(.